There are almost two million farms in the USA. About 80% of those are small farms, and a large percentage are family owned. More and more of these farmers are now selling their products directly to the public. 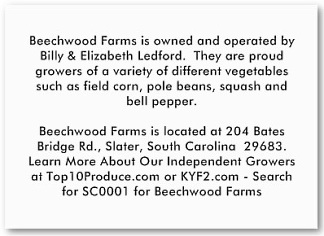 They do this via CSA programs, Farmers' Markets, Food Coops, u-picks, farm stands, and other direct marketing channels. Would you like to support your local farmer? 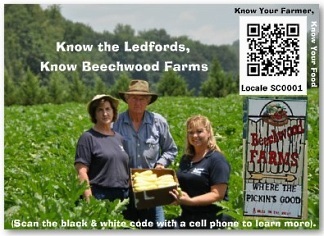 Use our map to find a small farm near you! Large scale chemical agriculture is poisoning our soils and our water, and weakening our communities. By buying direct from a family farm you can help put a stop to this unfortunate trend. By buying organic produce from your local farmer, you are working to maintain a healthy environment, a vibrant community, and a strong and sustainable local economy for you and your kids to thrive in. It's a simple enough idea, but its impact has been profound. Tens of thousands of families have joined CSAs, and in some areas of the country there is more demand than there are CSA farms to fill it. The government does not track CSAs, so there is no official count of how many CSAs there are in the U.S.. LocalHarvest has the most comprehensive directory of CSA farms, with over 2,500 listed in our grassroots database. In 2008, 557 CSAs signed up with LocalHarvest, and in the first two months of 2009, an additional 300 CSAs joined the site.